A conservative watchdog group’s attempt to have a downtown Tucson statue removed was denied after a unanimous vote last week by the Public Art and Community Design Committee. 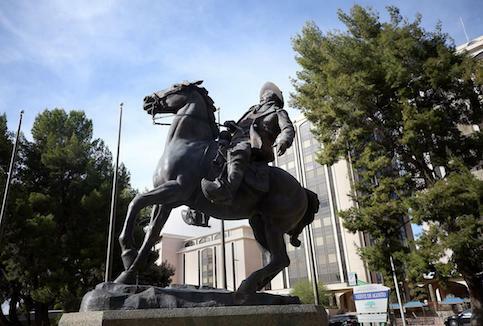 The 14-foot bronze statue of Mexican revolutionary Pancho Villa on a horse stands in Veinte de Agosto Park. The statue was a gift to the state of Arizona from the Mexican government and a Mexico press group. The removal request was submitted by Washington, D.C. based Judicial Watch as the group received complaints from multiple residents. City records do not indicate that a public hearing was held to hear complaints prior to the statue having been unveiled in 1981. After the vote concluded, Spender said he would consult with his legal team to ensure that the panel adhered to city policies. In charge of managing the city’s public art collection, the committee said the request did not meet any of the 10 criteria used to consider removing public art, such as damage or a request from the artist. During the meeting, a dozen residents gave statements defending the statue, pointing to its aesthetic value and role in celebrating local Mexican-American culture. Reposted from All About Arizona News. Phoenix- In a year marked by upheaval, Lotus Contemporary Art, a gallery at 511 E. Roosevelt, presents a rare opportunity to view an exclusive collection of controversial political artwork. Organizers say that in a pivotal election year, political art is highly collectible, and they want to level the field in a liberal leaning industry. Billed as “Provocative Art 2016”, the public is invited to the show’s opening reception with the artists on Friday, April 22, at 6 PM- 10PM, with an additional showing on Saturday, April 23, from Noon to 3PM. 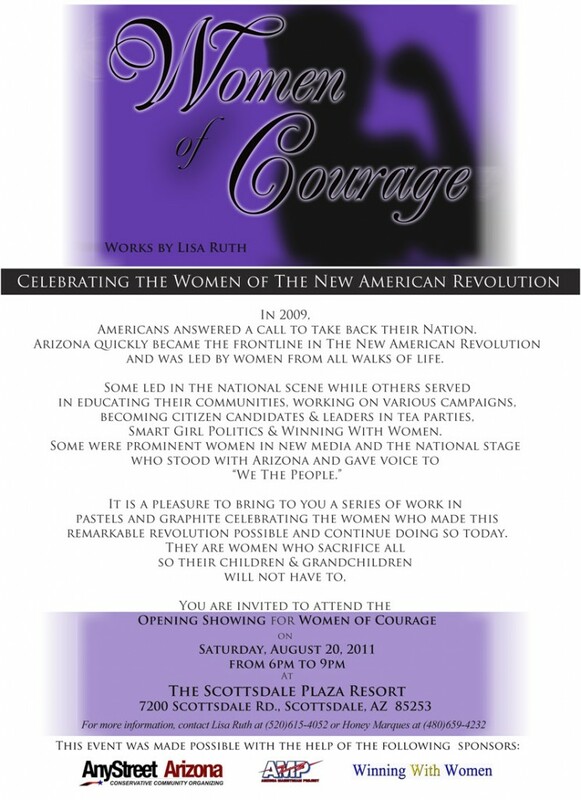 Featuring original fine art by Marc Stolfi, Taylor Overby, Tanya Slate, Sharon Mcgovern, Richard Bledsoe, Denise Fleisch, and Floyd Alsbach, to the often controversial editorial caricature of Roman Genn (National Review), two-time Pulitzer winning cartoonist Michael P. Ramirez, and provocateur street artist SABO, the show covers a wide range of center-right political philosophy. From the delicate “Ballerina Feet” by Sharon McGovern to hard edged, controversial editorial work, organizers say that art lovers can enjoy the beauty and humor of the political art world, as well as talk to artists who refuse to conform to today’s political norms. Why call the show “provocative”? 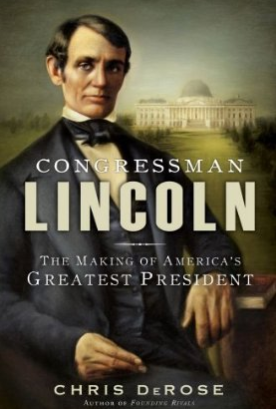 Congratulations to my friend, Chris DeRose, on the release of his second book, Congressman Lincoln: The Making of America’s Greatest President. Chris’ book came out today as he launches his book tour. A biography of the early years and personal struggles of the famous frontier politician who led the United States during its darkest hours, centering on his little-known congressional years. This the story of an Abraham Lincoln many Americans aren’t at all familiar with. Lincoln as a reluctant husband in an abusive relationship; Lincoln who came within moments of fighting a duel with a political adversary; the first and only president to patent an invention; the first future president to argue before the Supreme Court. Lincoln the policymaker is remembered for his conduct of the Civil War, and his handling of slavery. But even during his Presidency, Lincoln was concerned with a broad array of issues. As a party leader, candidate for Congress, and member of the House, Lincoln worked on stimulus spending, international trade, banking, and even the Post Office. And it would be in the Thirtieth Congress that Lincoln would first move to halt the expansion of slavery, carefully crafting a bill for gradual emancipation in the District of Columbia. This is the story of America at a critical time. The tale of a Congress that ended a conflict, unsure of what they had gained aside from a seat strapped to a powderkeg, of a party aiming to win the Presidency at all costs, paving the path for its own extinction, and of a country charting an irreversible course toward Civil War. Moreover, it is the story of the man who lead the United States during its darkest hours and his role at the center of this gathering storm. This is the story of Congressman Abraham Lincoln. One of our creative readers just produced this excellent little video. Let’s help it go viral. It’s like a bad re-run. A few legislators are trying to revive Arizona’s film production tax credit (SB 1170) that lapsed in 2011. According to the last annual report on the effectiveness of the credit, in 2009 four media companies completed production on credit-approved projects. After taking into consideration the small bit of sales tax revenue the film generated while in production, the state paid out a net of just over $2 million in tax credits. That’s an average of half a million dollars per project. States like Washington and Iowa terminated their film credit programs last year and others have suspended them until their effectiveness can be studied. The general consensus among analysts is that these credits cost more than they’re worth and their existence owes more to star-struck policymakers than it does to economic logic. The legislature this year, just as they did last year, should avoid putting Arizona taxpayers back on the hook for film production. Arizona doesn’t need to buy another ticket to this overpriced flop. Stephen Slivinski is a Senior Economist for the Goldwater Institute. Many local governments in Arizona want us to believe they have gone to extreme lengths to tighten their budget belts. But when you hear that Tucson is using its sign laws to squelch artistic murals on the historic Rialto Theater because the murals aren’t purely for artistic purposes—they also promote shows at the theater—your realize budgets can’t be that bare. Then there are the pool cops of Maricopa County, who are aiming to shut down weekend pool parties used by Phoenix-area resorts to boost their business during this recession. Any government that can waste resources on such measures has too many idle hands on the payroll. The fact that local governments can’t recognize this shows that streamlining budgets requires more than a commitment to saving money. It requires a guiding philosophy of limited government. In many cases, cities and counties cannot focus limited resources on core functions because they cannot identify what functions are core. Laws against genuine public nuisances have no higher standing than crack downs on wall murals and bans on resort pool parties where guests might eat or drink too close to the water. 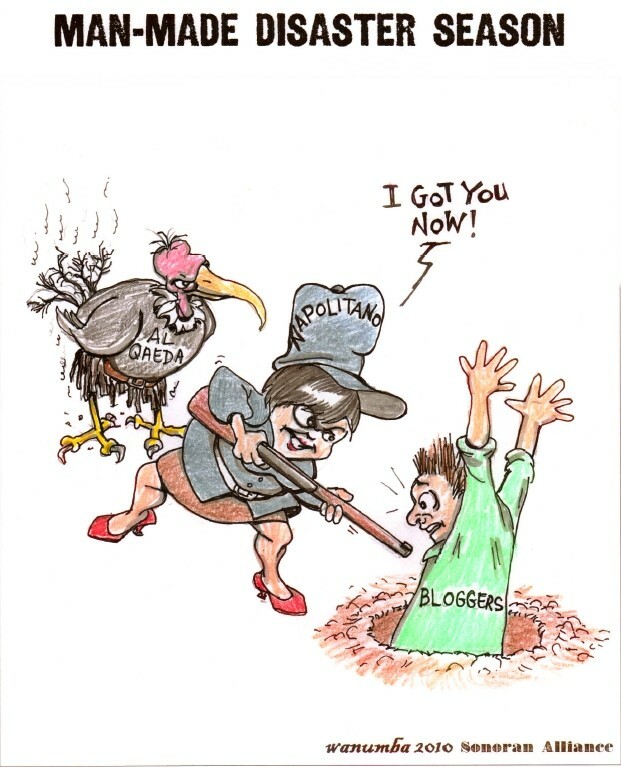 Resources are stretched because government officials are using them to perform needless and often abusive tasks. Officials who accept this basic principle of limited government are unlikely to prosecute businesses for such offenses as painting wall murals on their own property that also advertise their business and planning some outdoor fun to attract more customers. No function of government is a core function if it has nothing to do with protecting and maintaining individual rights.